Jonathan Stevens recently joined the ID Comms intern program. Here he talks about how the changing media landscape is forcing marketers to find ever more creative ways to evolve and adapt. The newest instalment in the Agent 47 Hitman computer game series, simply called ‘Hitman,’ is causing quite a stir, mostly due to innovative new marketing ploys. 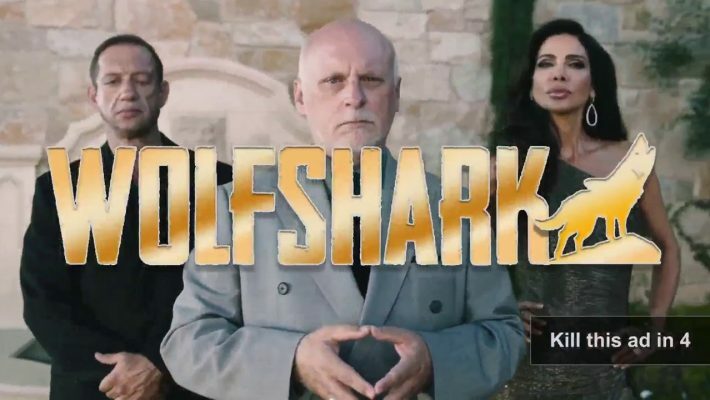 The advertisement introduces the viewer to ‘The Wolfshark,’ a corrupt reality television mogul and Agent 47’s latest target. The unique feature of the advert is that the viewer is immersed within the Hitman universe by killing the target. Wolfshark can be killed in a number of ways, depending on where in the video the viewer decides to ‘kill the ad.’ He can be shot in the car, hung from the balcony or garrotted in the alley. This unique interaction with a brand is brainchild of creative agency Omelet and the creative director for the ad, Josh Smutko. Omelet touts it as the ‘world’s first killable ad,’ and Smutko states the ad brings the game to life and that the ad skipping mechanic was an excellent way to utilise this. Smutko also talked about a fragmented audience, who are on varying social channels, mediums and devices and that new ways were needed to reach them. The advertisements will be targeted programmatically so will be ensured to reach gamers, meaning a likely high return on investment. This device plays on the hate consumers have grown towards pre-roll advertisements, which are often seen as intrusive and interrupting. However, Hitman has not always got it right, as several off the mark campaigns such as the ‘kill your friends’ campaign and the controversial ‘Attack of the Saints’ trailer exemplify. Furthermore, a marketing gimmick for this upcoming game involved fake blood pools seeping from underneath toilet stalls, which proved rather ambiguous in the female toilets. This half-baked idea did cause a social media stir, with Twitter users tweeting images, and whilst all remarks were of the ill-advised blood pools in girl’s toilets, Hitman nevertheless gained exposure. Controversy causes conversation and with the ‘kill your friends’ campaign receiving such uproar it was taken down almost immediately, it put Hitman in the spotlight, as the old adage says, ‘there’s no such thing as bad publicity.’ And Hitman got it right in causing online conversation, as that is often what drives sales in the online world; consumer awareness. They may also have learned from past mistakes, as the ‘kill your friends’ and ‘kill this ad’ have obvious similarities. This recent spot feels like an improved and much tweaked update on the previous. This ad is also reminiscent of Geico’s ‘unskippable’ campaign, which again played on the dislike for pre-roll advertisements. However, Hitman has not only utilised the ‘skip ad’ button and converted it into a tool to further itself, it has done it in a way that is in keeping with the Hitman universe. It acknowledges the fact that consumers dislike the fact advertisements run before a YouTube video and turns it on its head, it converts that annoyance into entertainment, actively engaging the consumer in the brand experience, even whilst the consumer is trying to escape that advert they are being drawn into engaging with the brand. It is essentially utilizing anti-ad behaviour positively towards the brand. It is a disruption of typical anti-ad consumer behaviour. Could this be a glimpse of the future? Could this herald advertising agencies beginning to utilise this tool and turn it on its head? Certainly, ad engagement and experiential marketing drives consumer interest and awareness, and return on investment increases when a consumer can obtain perceived benefit. If consumers can vent frustration caused by pre-roll ads by ‘killing’ them and seeing their click have immediate effect, will this stem the continued backlash against them? Advertisers and brands must find a way to pull a Hitman and respond to a growing resentment towards pre-roll ads, else face being assassinated by companies that can.